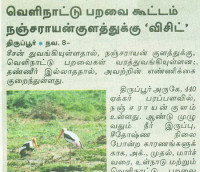 Awareness program on Birds and the need for their conservation was organised by the Nature Society of Tirupur at the Government Middle School, Ammapalayam, Tirupur, on the 31st October 2015. 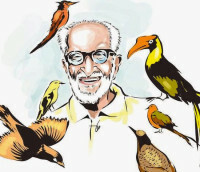 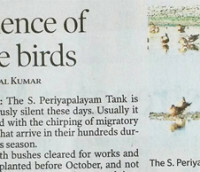 Students from class 6 to 9 participated in the program and showed much interest in knowing about the role of the birds in the ecosystem. 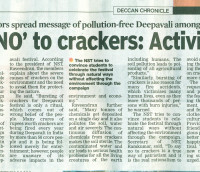 Article in Deccan Chronicle today on NST’s anti-cracker campaign.